Age Criteria for following vacancy are as follows: Maximum 40 years as on 01/09/2018, Age relaxation-:SC/ST-5 years,OBC-3 years, Person with disabilities- 10 years.SC/ST PWD- 15 years, OBC PWD- 13 years. Educational Qualification: Graduation degree in any disciplines from a recognized university and experience of 5/10 years in any Para-military union / Police for MMGS-II/III. Selection Procedure-: Andhra Bank may follow the following process to select the applicant- Written exam, Interview ,Document Verification. SC/ST/PWD-Rs.100/- (Intimation charges only) to be paid online. The candidate can submit an application online at Andhra Bank official website from 19/09/2018 to 23/09/2018 only. 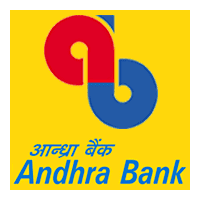 Please visit Andhra Bank official website https://www.andhrabank.in for all other details along with online submission arrangement.